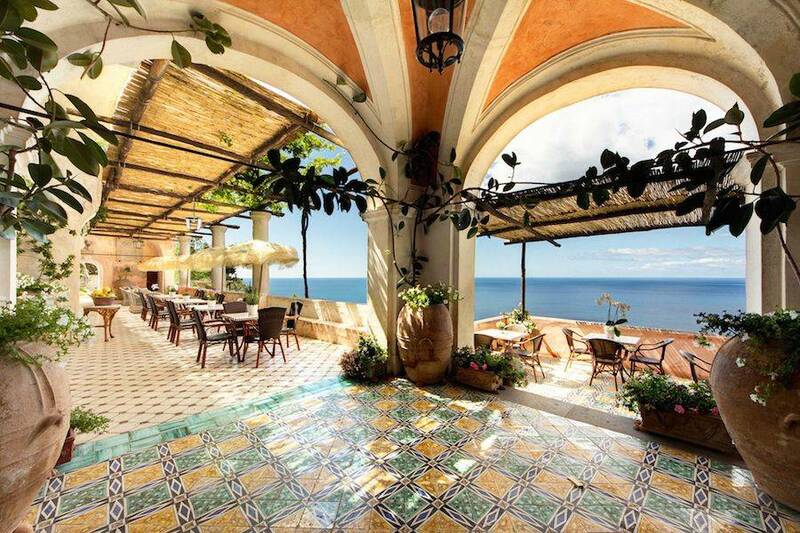 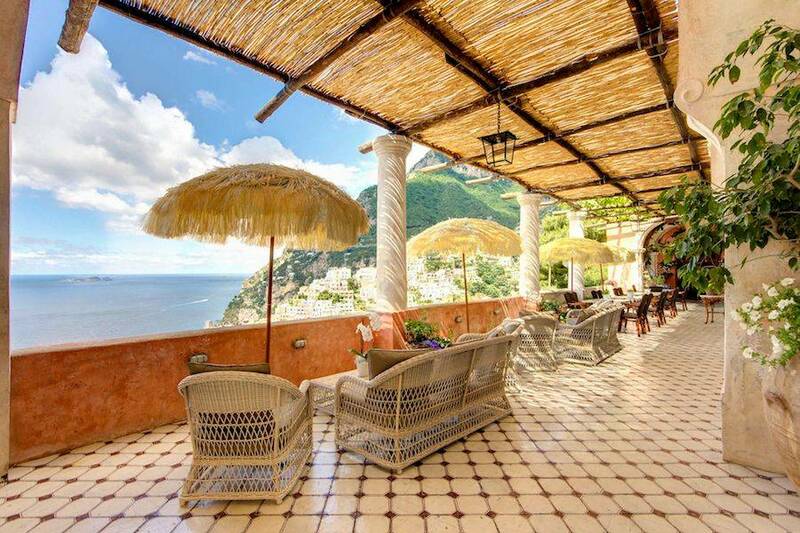 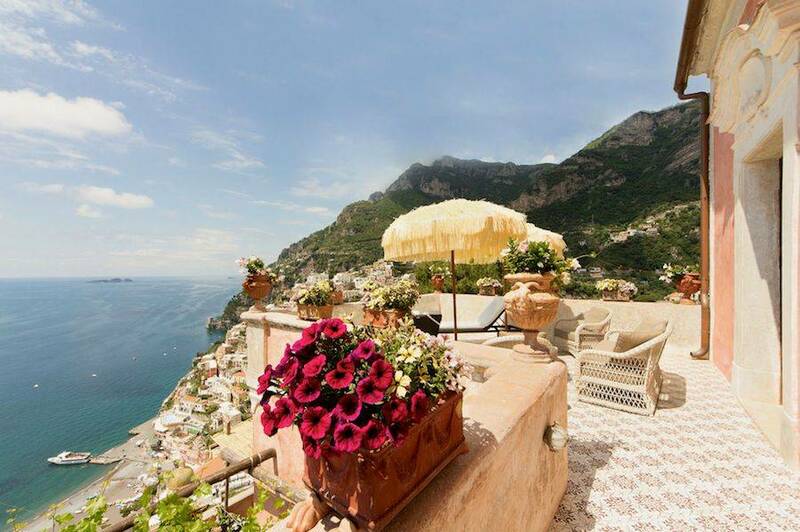 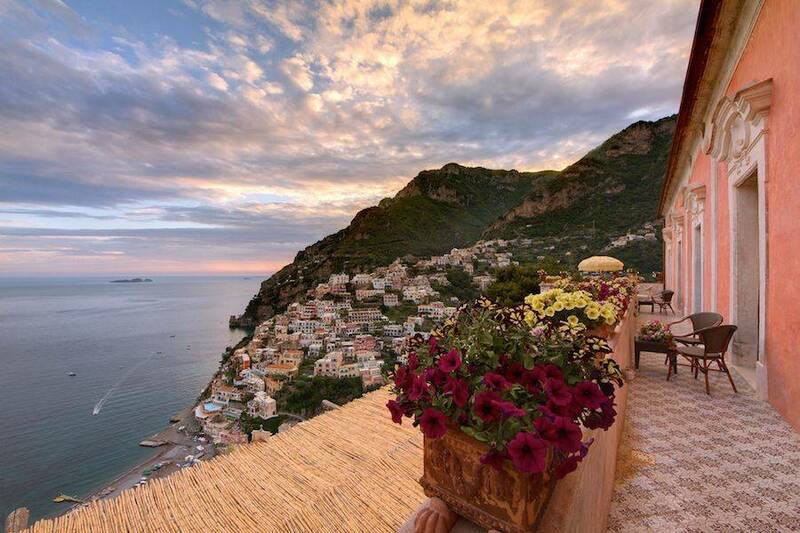 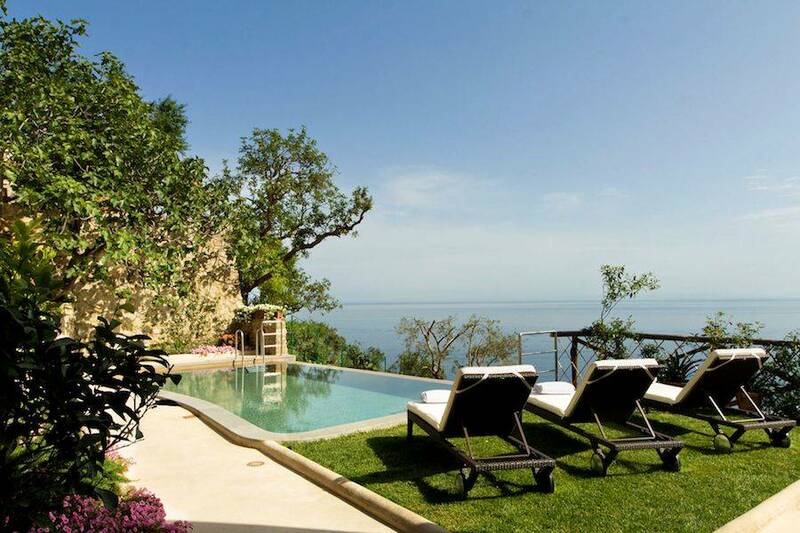 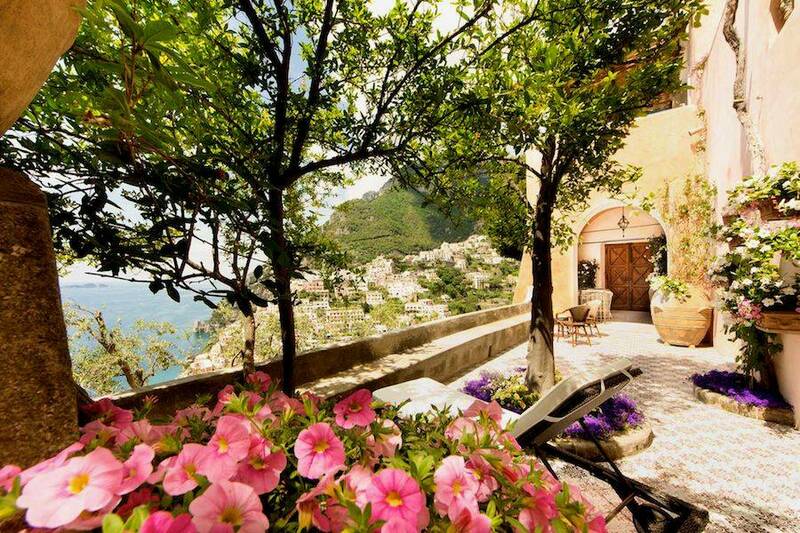 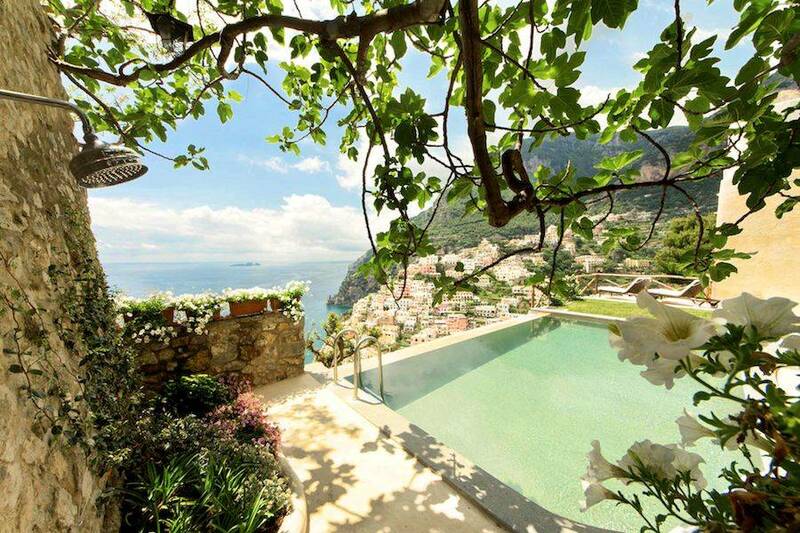 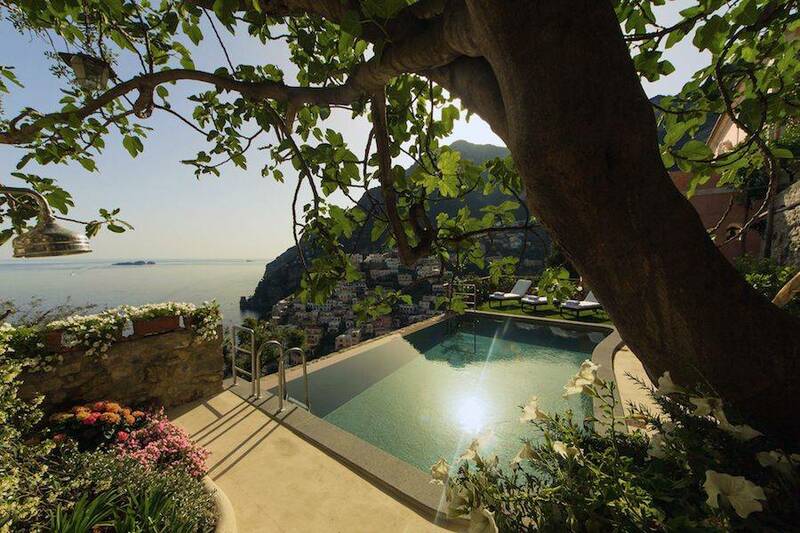 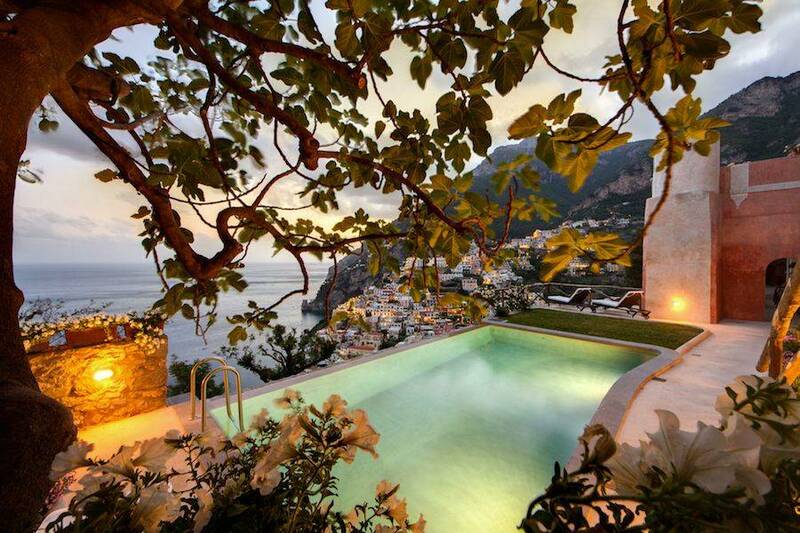 The spectacular views of Italy's Amalfi Coast are not the only reason guests fall helplessly in love with this exclusive holiday home. 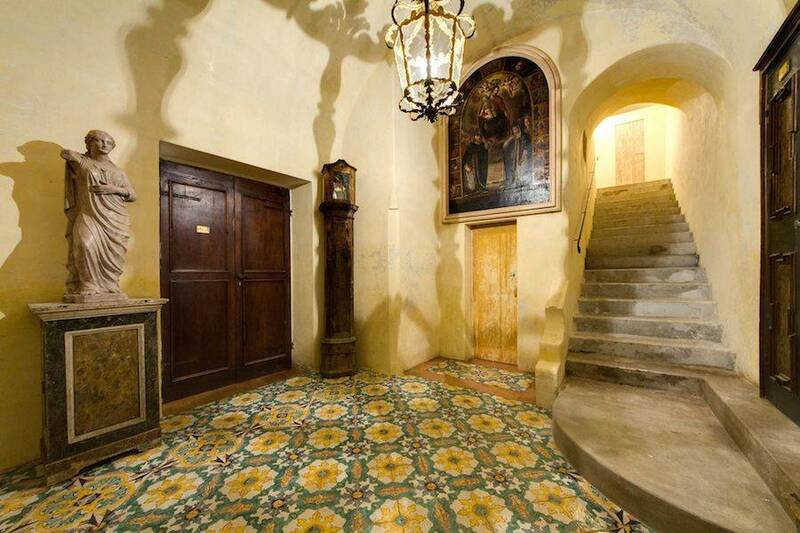 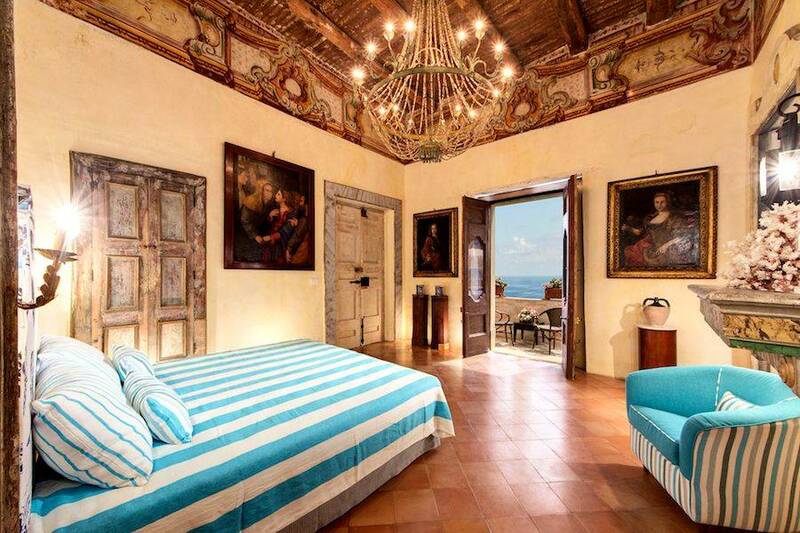 Walk inside the villa and you'll be greeted by an amazing display of frescoes, antiques and ceramics, all of which testify to the building's aristocratic past. 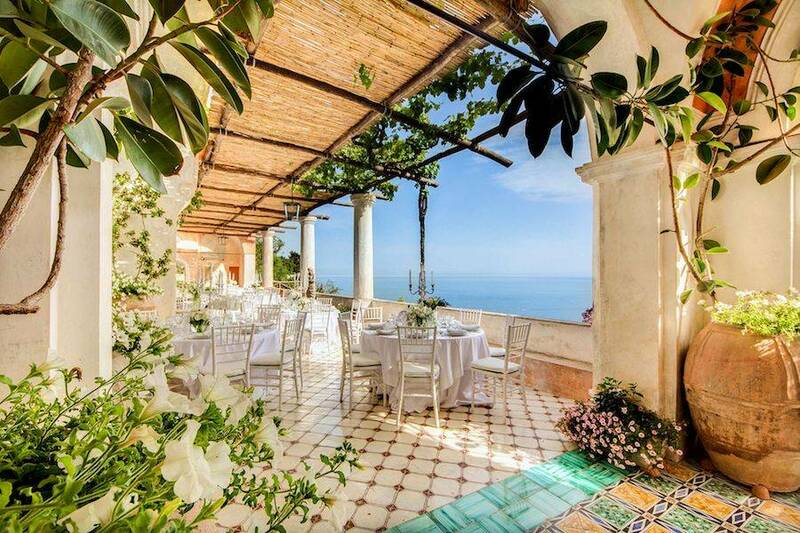 Drenched in sunshine, with a pretty pergola and typical Mediterranean columns, Villa San Giacomo's terrace is the heart of life in this unique period residence. 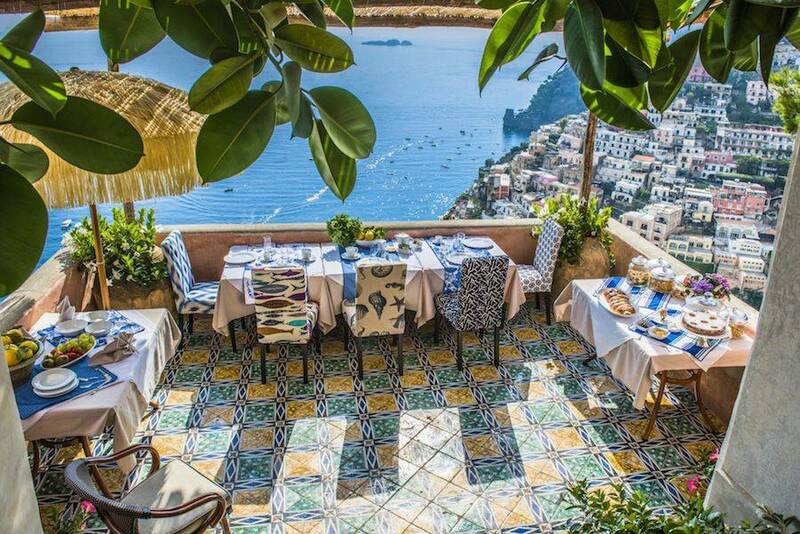 This is where a delicious al fresco breakfast is served each morning and where, in the evening, guests gather for an elegant sunset aperitif or a leisurely after-dinner drink or Limoncello. 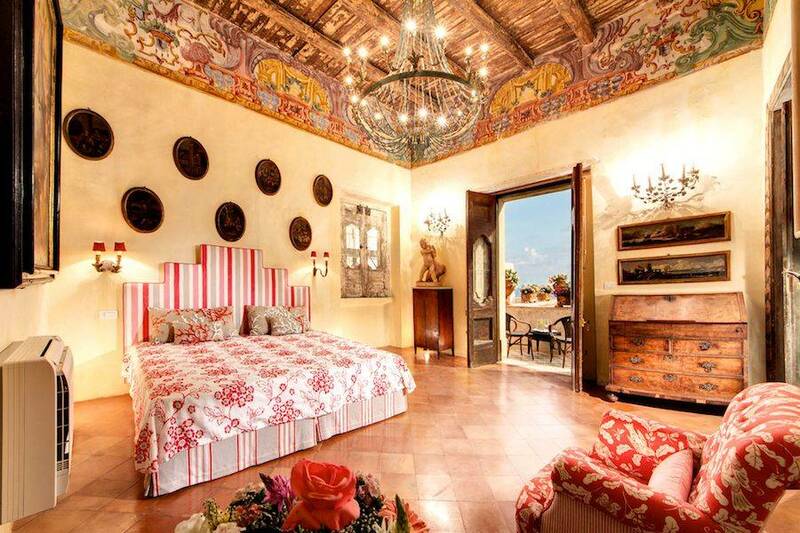 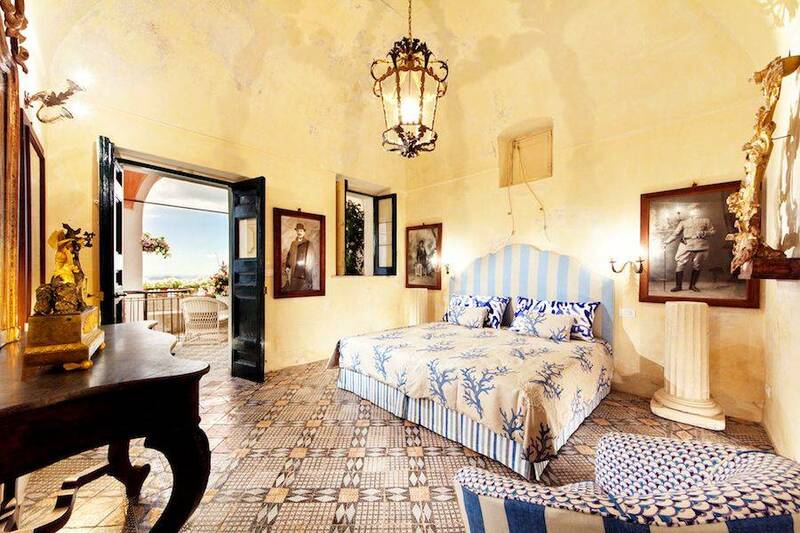 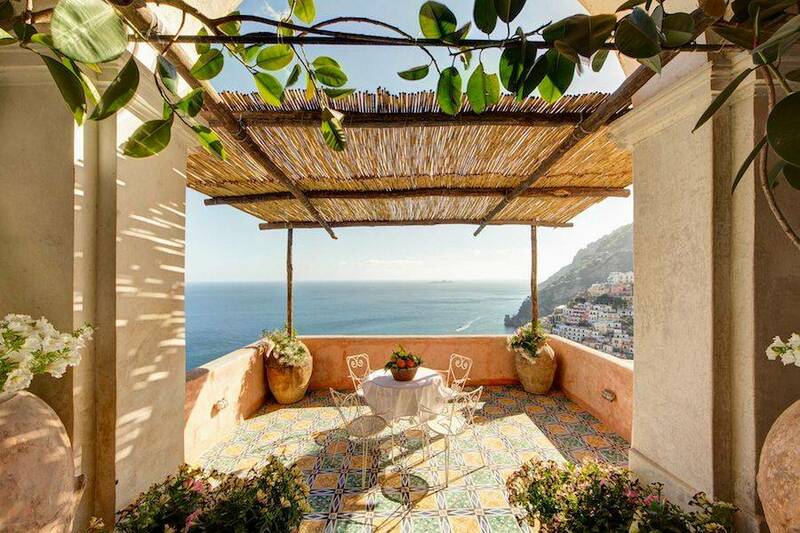 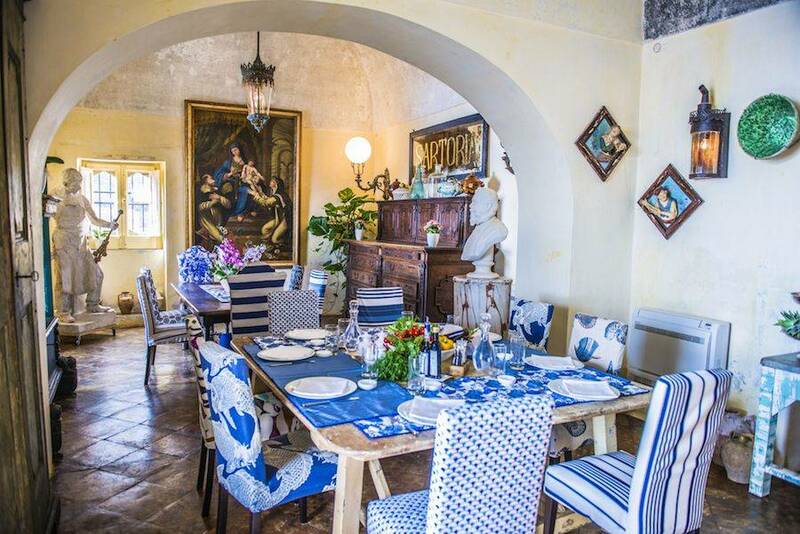 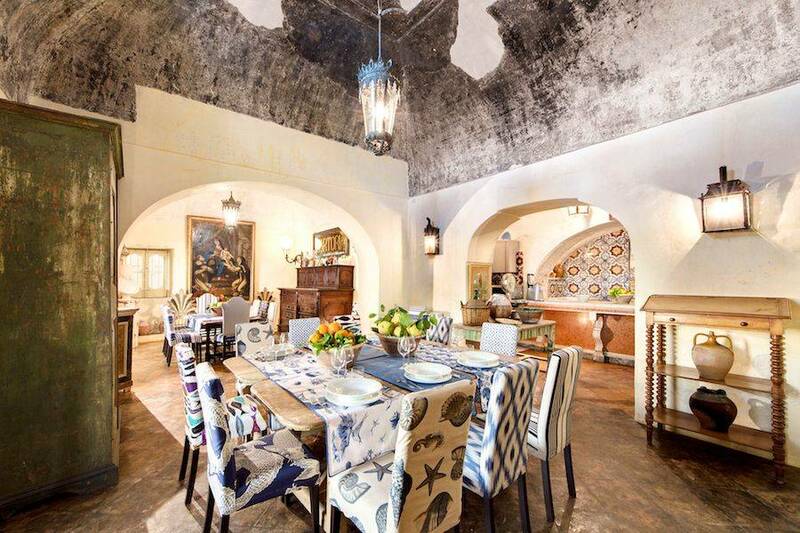 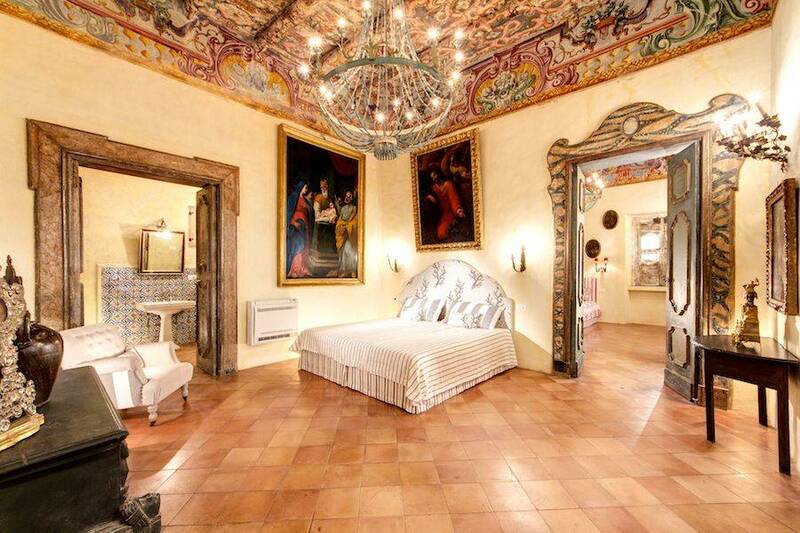 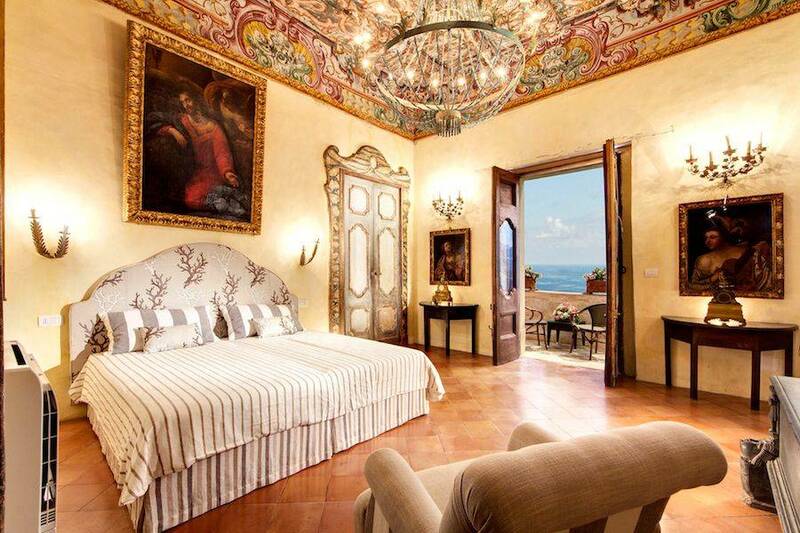 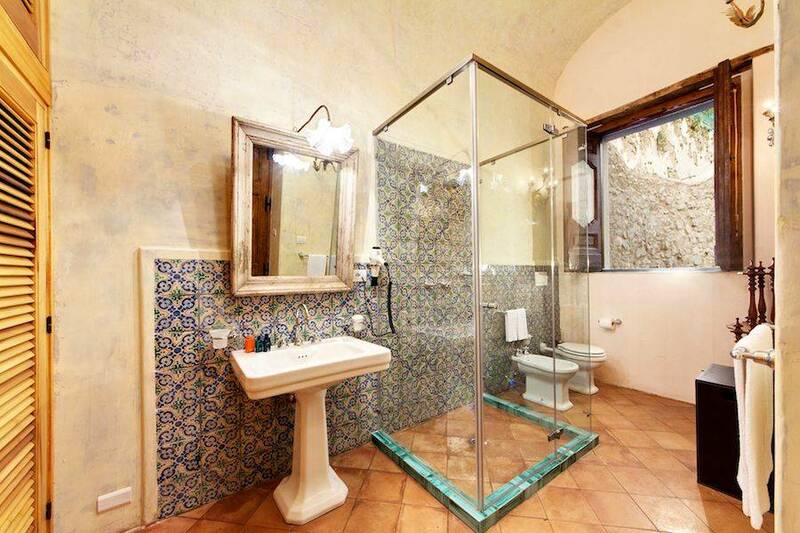 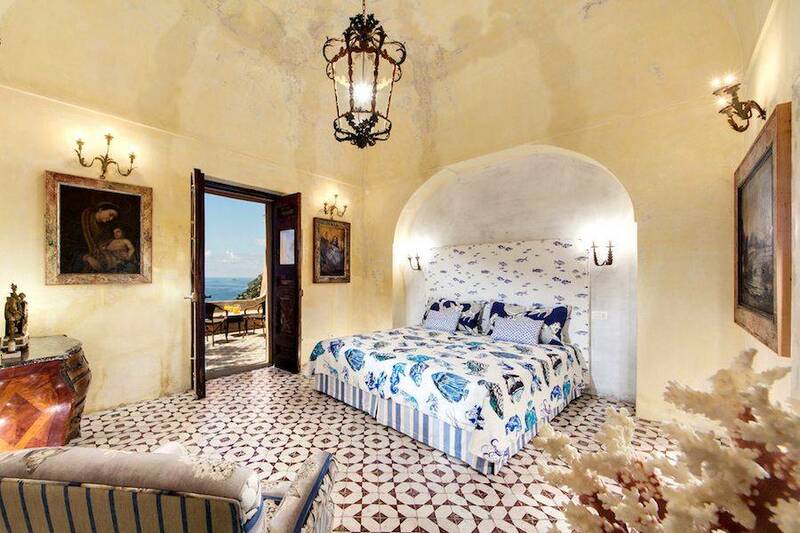 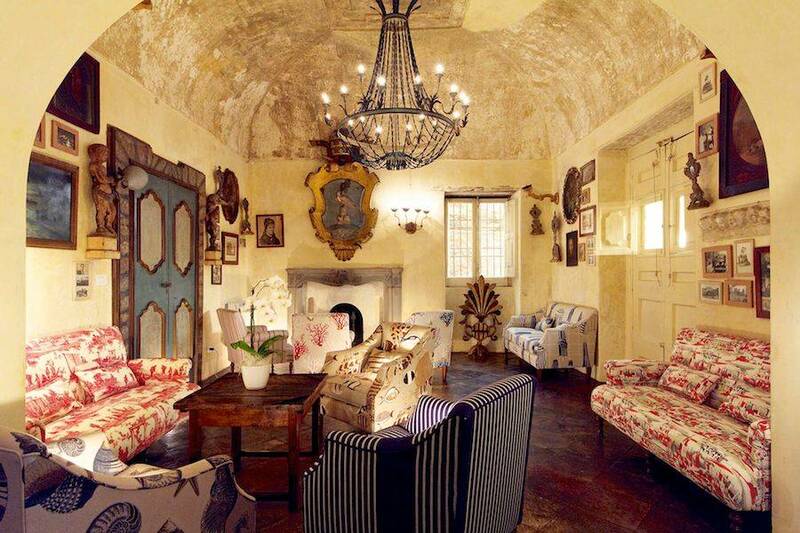 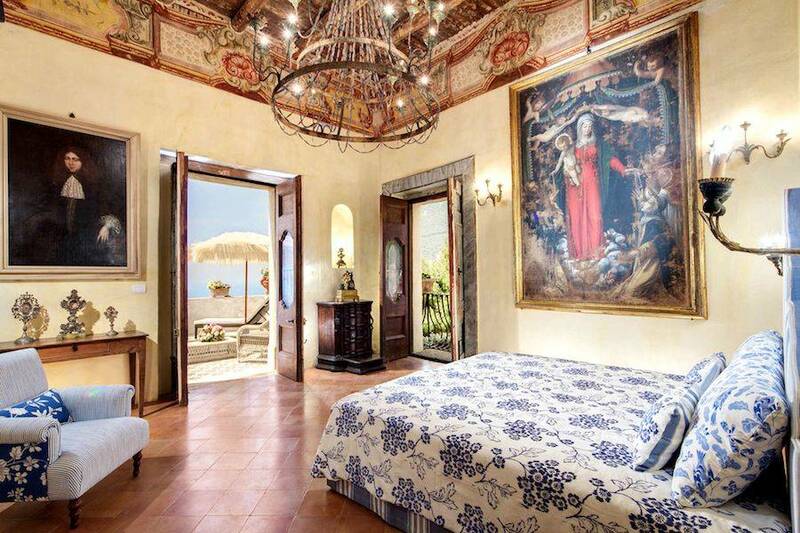 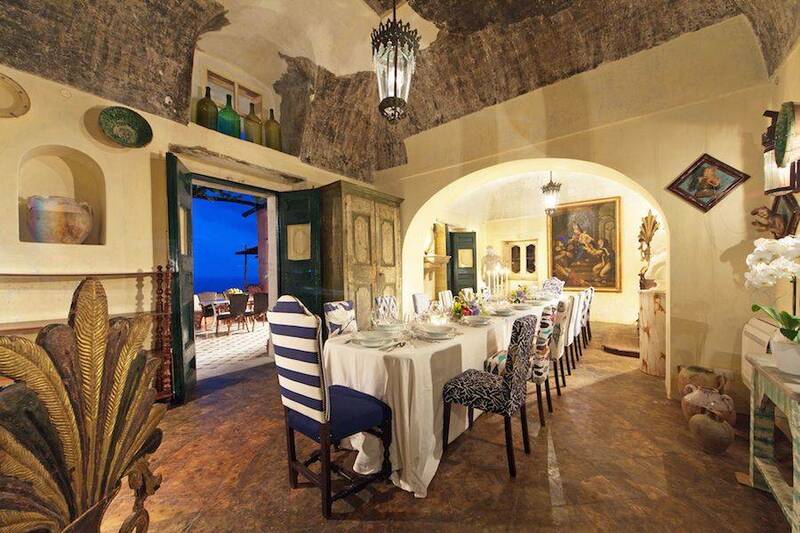 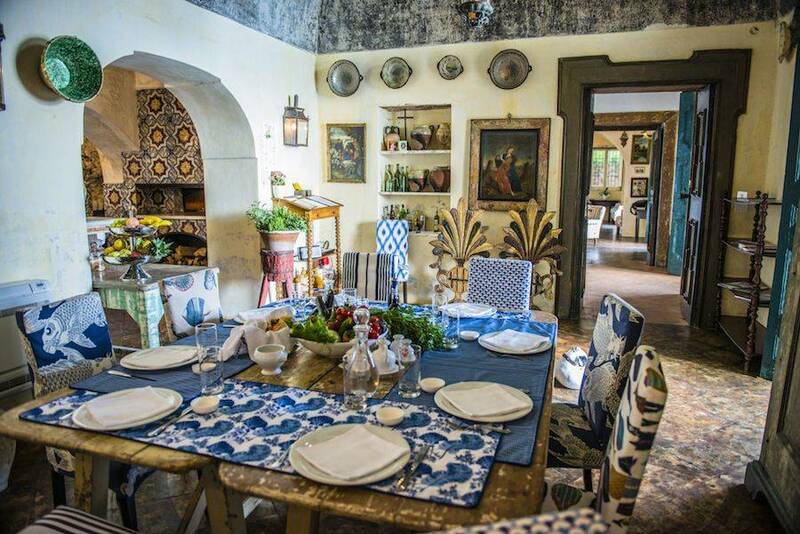 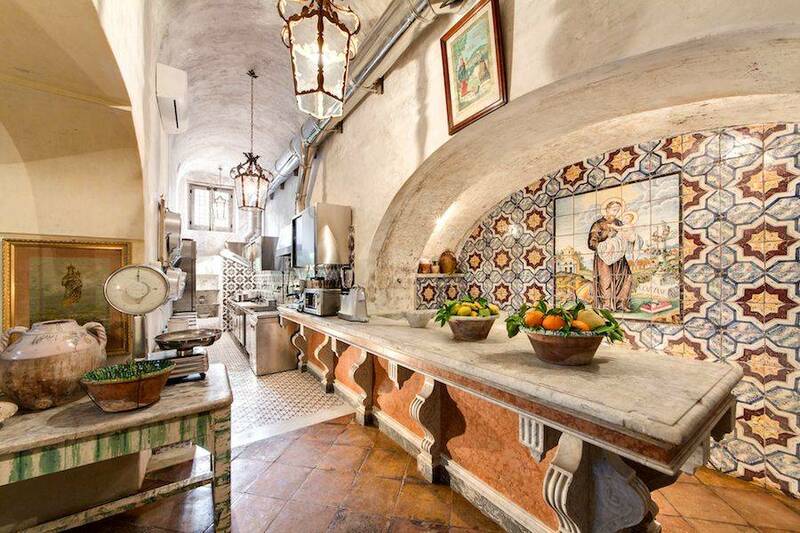 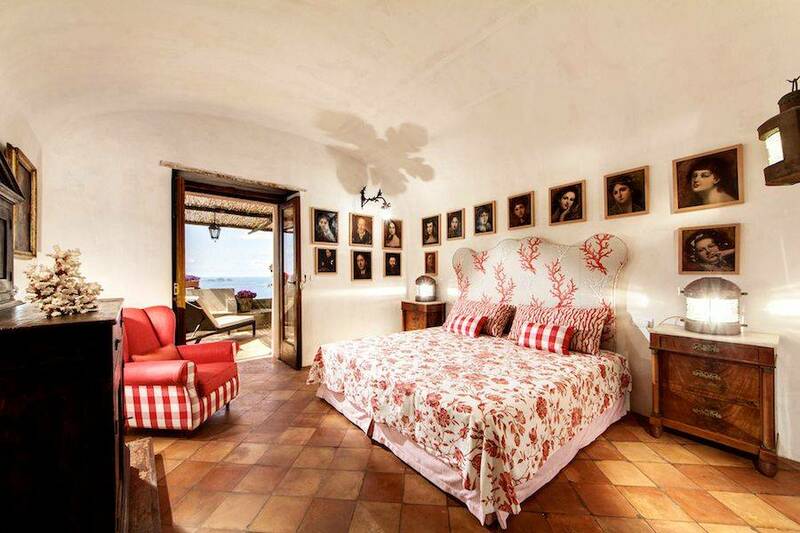 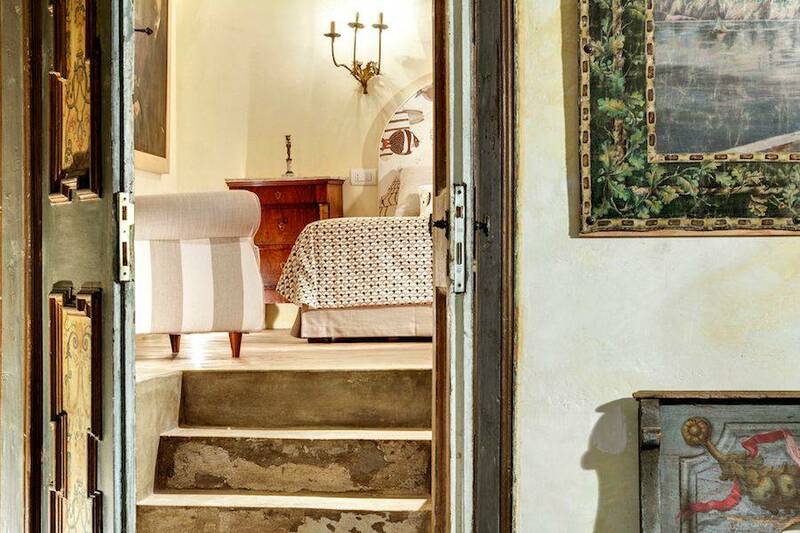 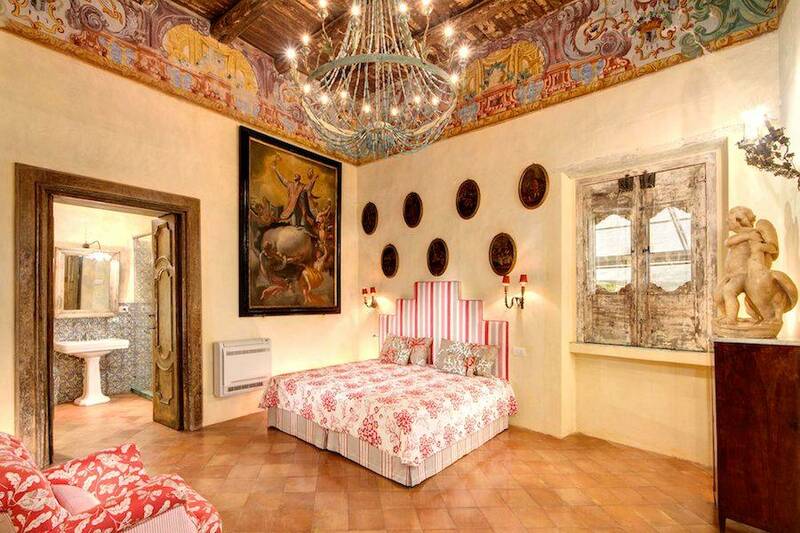 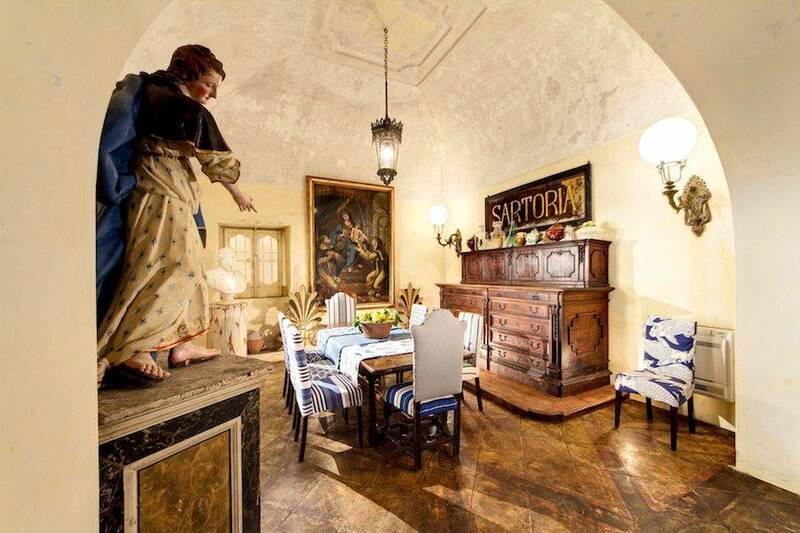 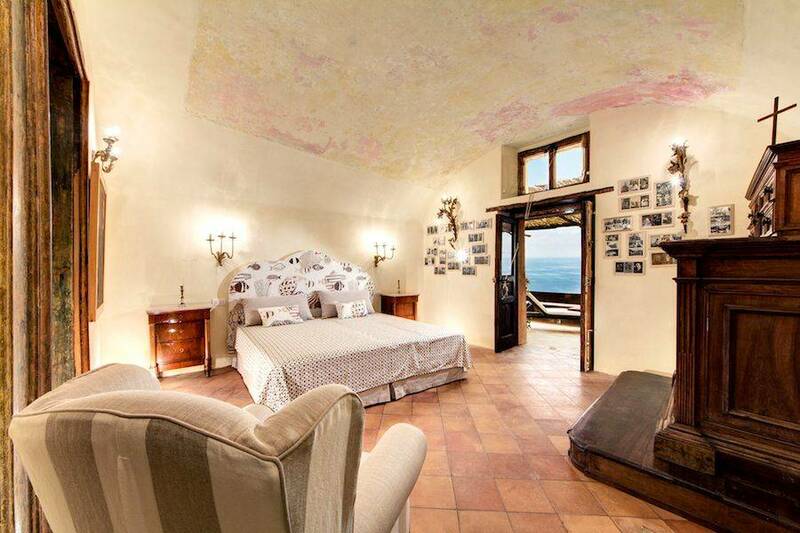 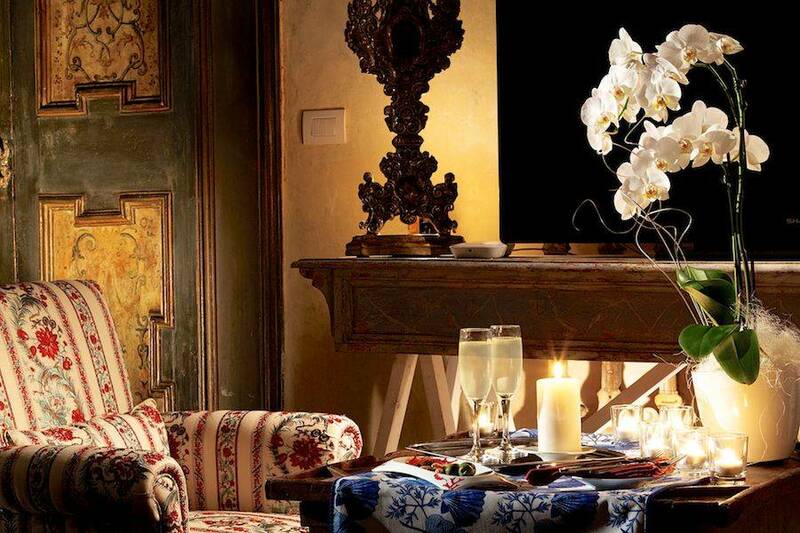 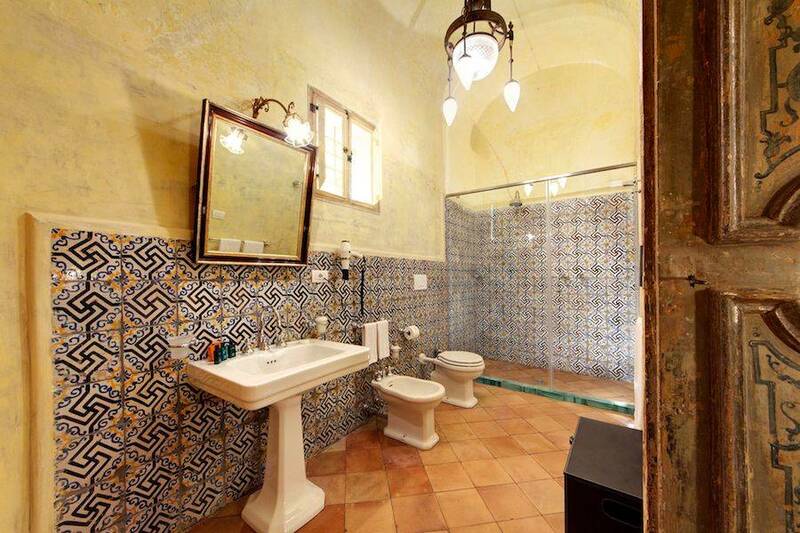 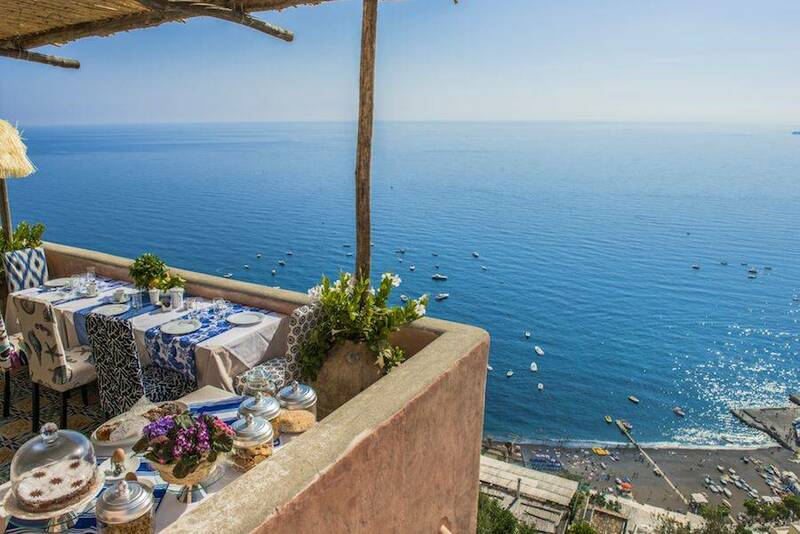 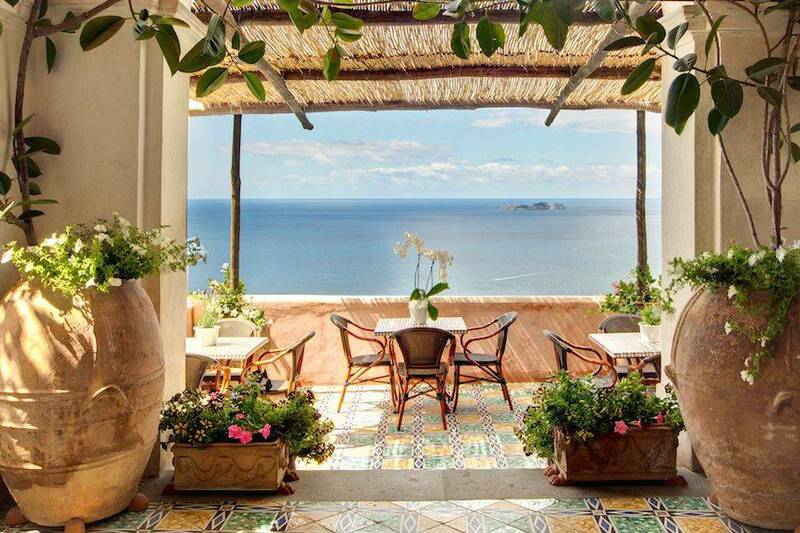 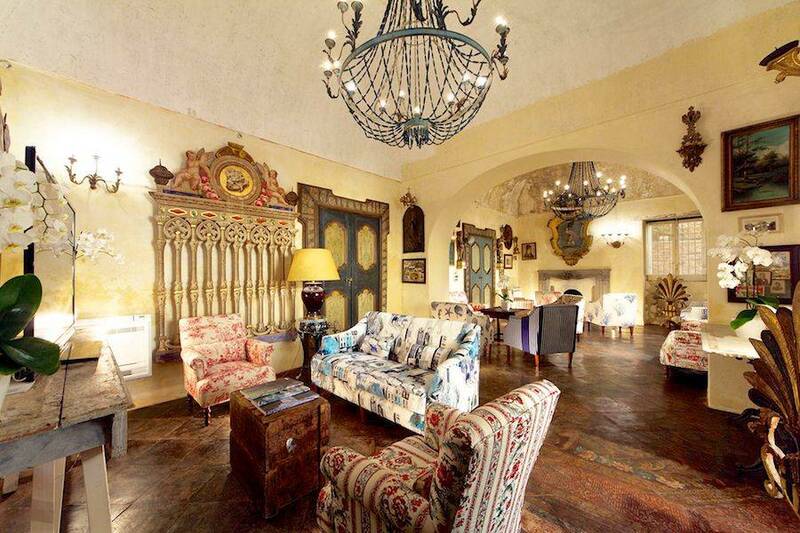 Book a holiday at Villa San Giacomo and get ready to sleep in sumptuous bedrooms, with ornately frescoed ceilings, antique furniture, centuries-old paintings and beautiful bathrooms tiled in the brightly colored majolica, typical of the Amalfi Coast. 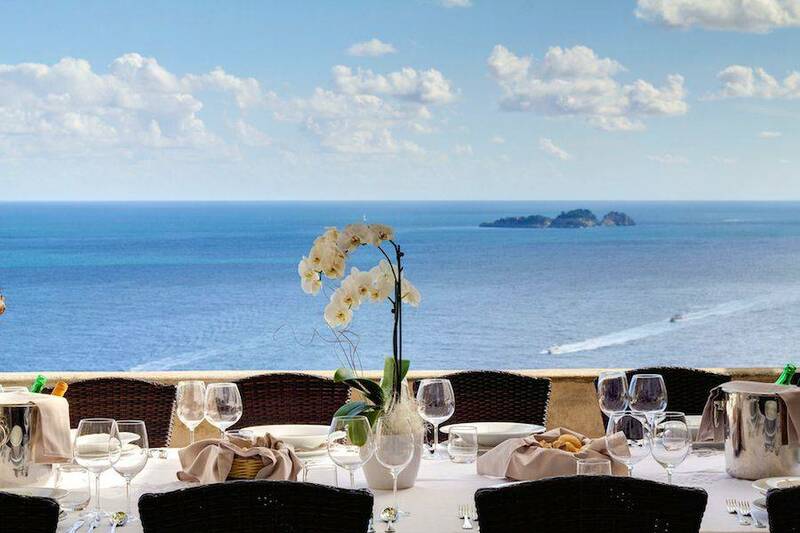 Distributed on two of the villa's four floors, each and every one of Villa San Giacomo's eight bedrooms is equipped with a full range of 5 star amenities and opens out onto a sweeping sea-view terrace. 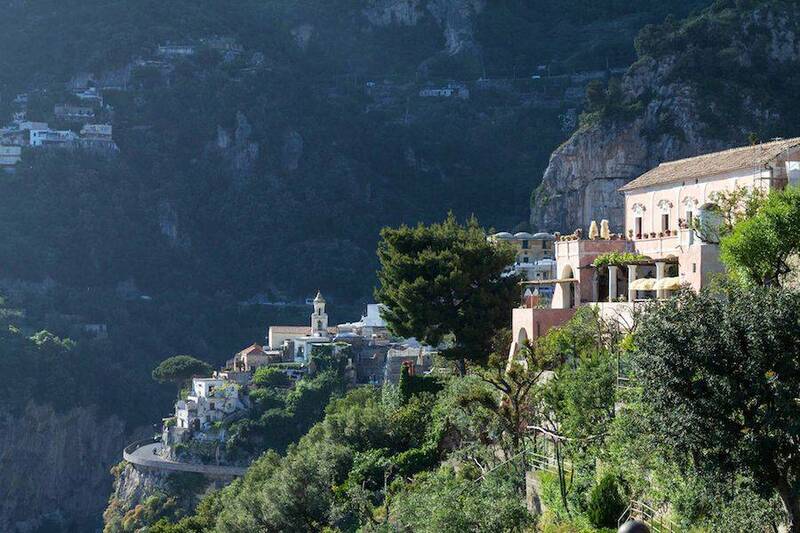 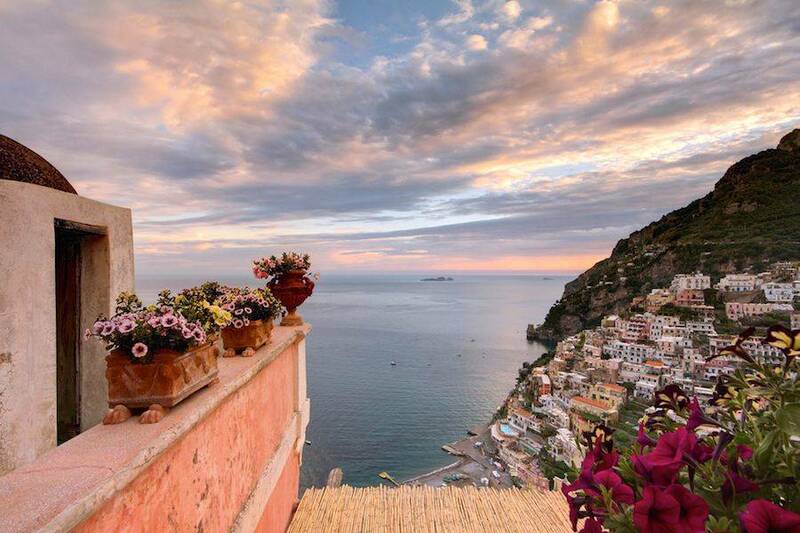 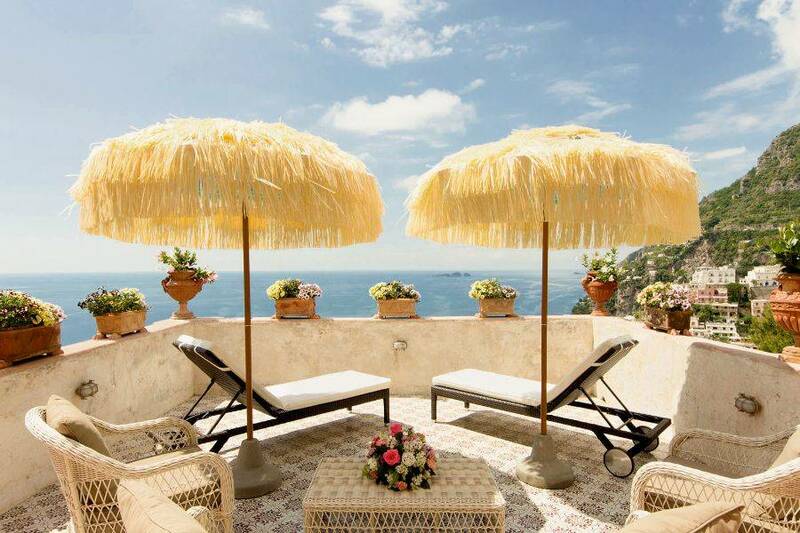 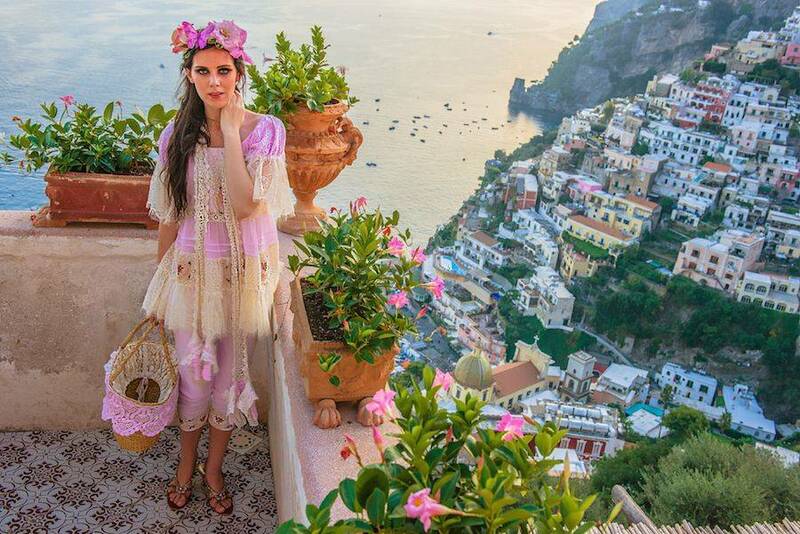 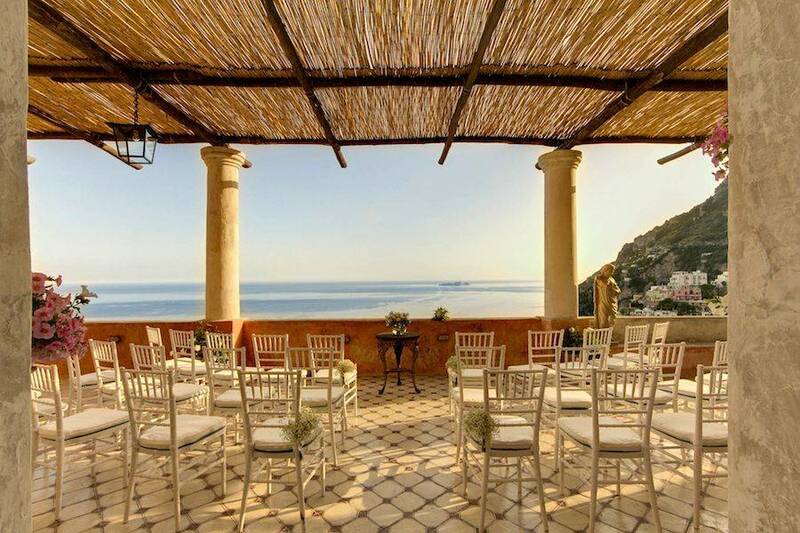 ...start with a wedding made in Positano. 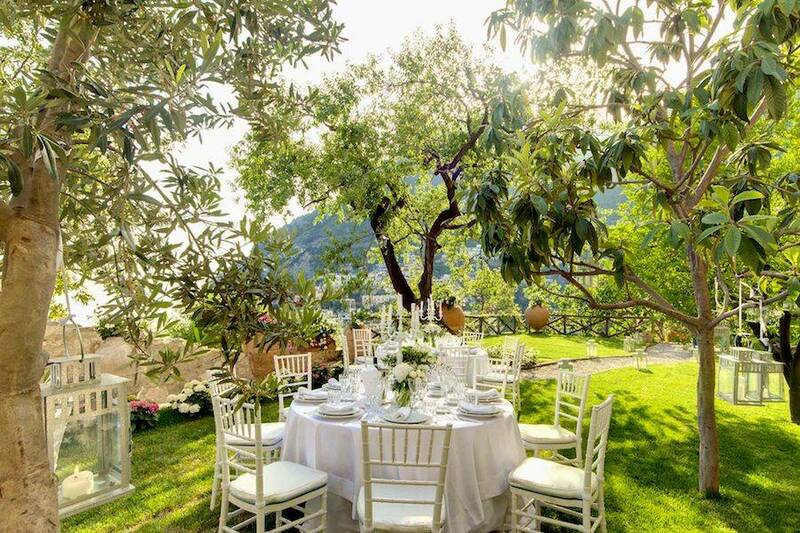 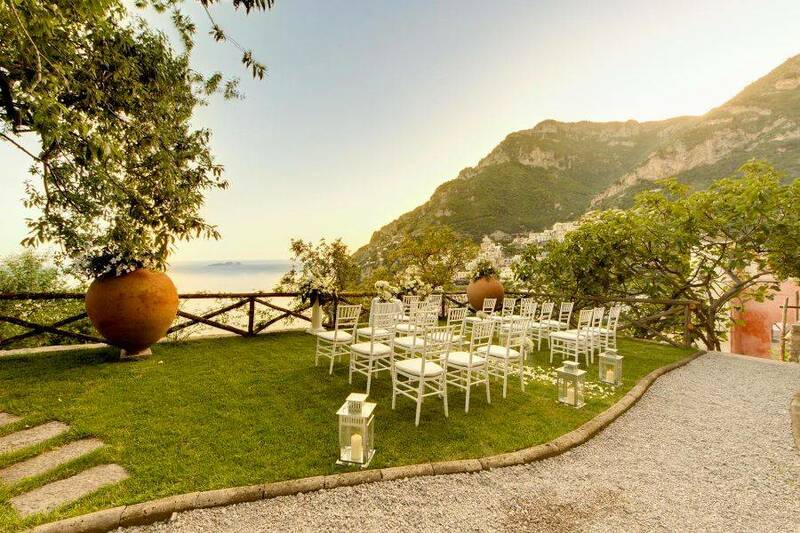 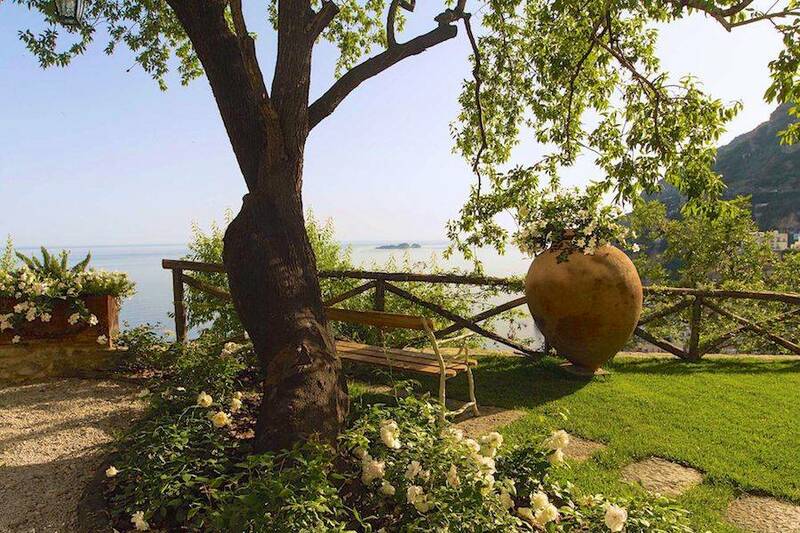 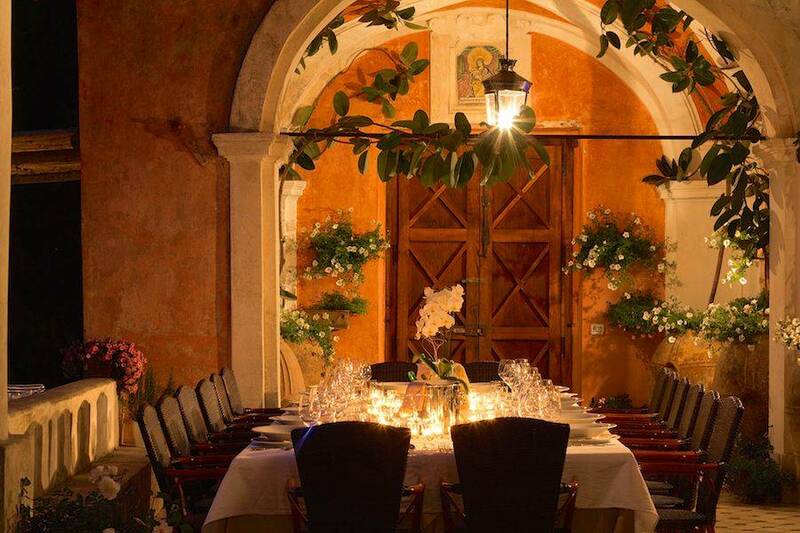 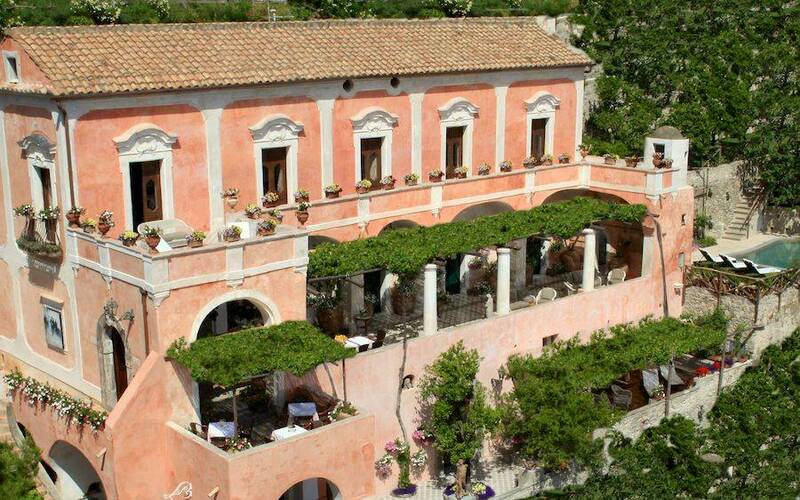 If you're looking for a fairytale location for your glamorous Amalfi Coast wedding, you're going to love Villa San Giacomo. 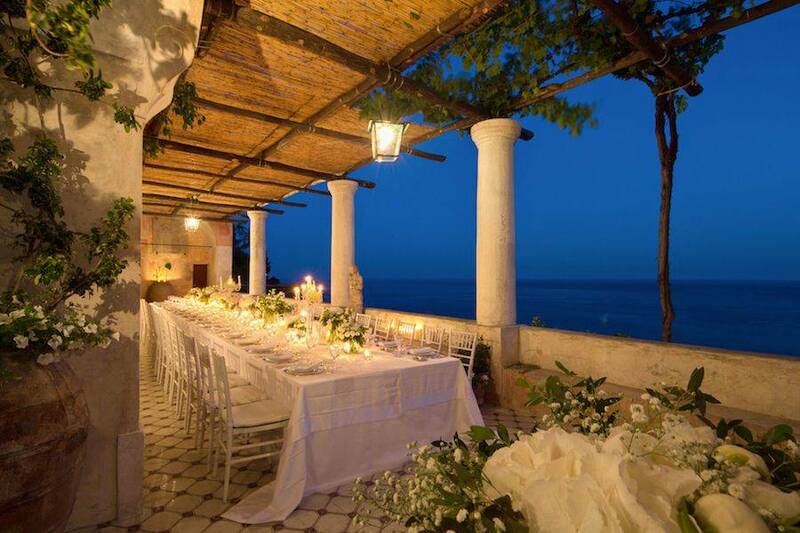 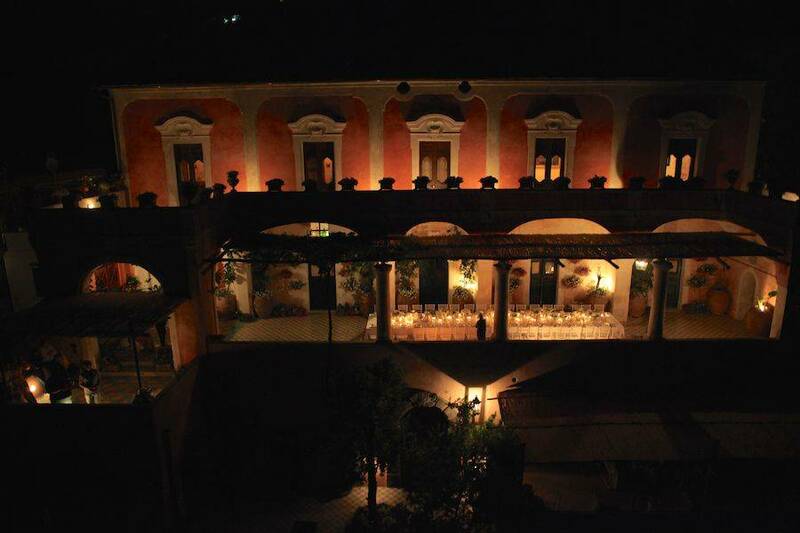 Romantic civil marriage services, attended by as many as 200 guests, are performed on the villa's panoramic terrace. 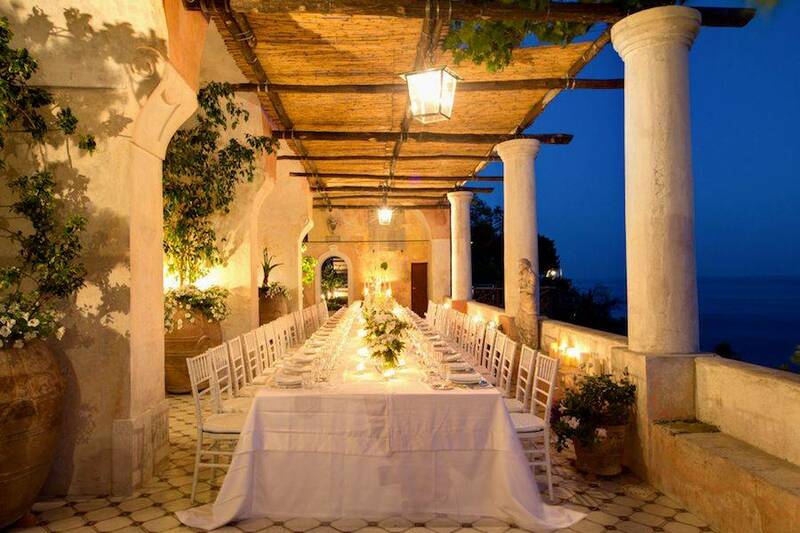 For all the rest, from the bridal make-up and flowers to the catering and photos, there's Villa Giacomo's professional wedding planner. 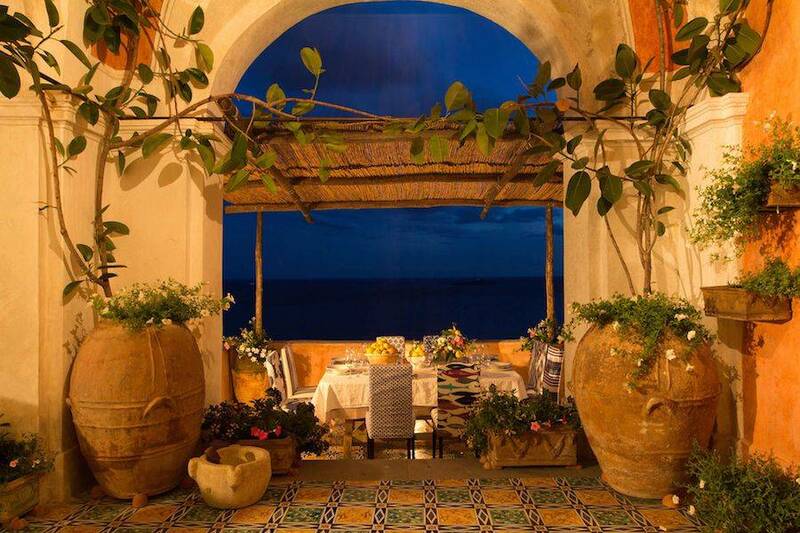 In the last 30 days 75 people have visited this page. 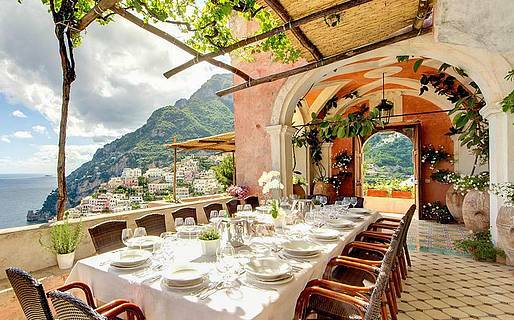 Liparlati is one of the oldest parts of Positano and, in fact, the Ancient Romans built a number of their most sumptuous villas here. 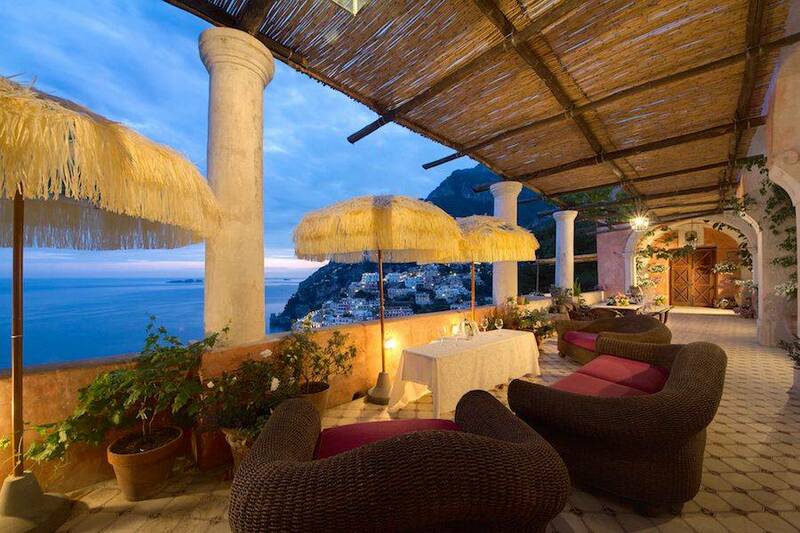 It's on this hill, overlooking the sea, the islets of Li Galli and Capri, that you'll find the Amalfi Coast's Villa San Giacomo. 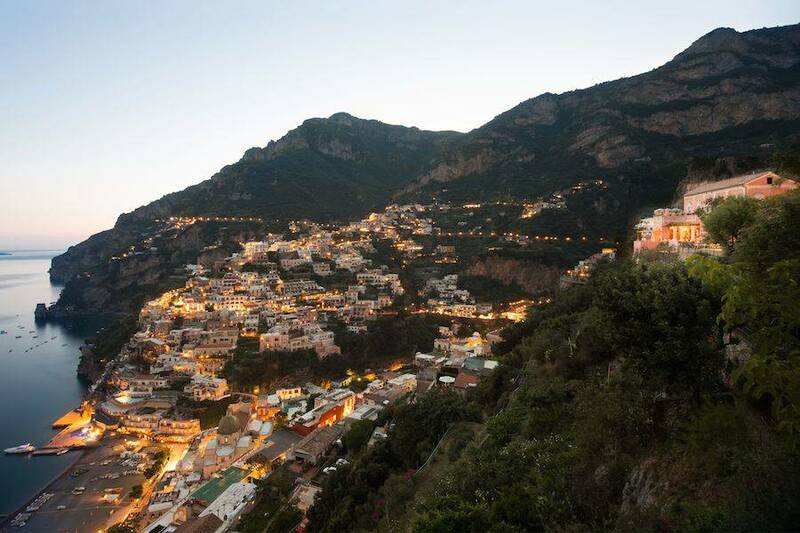 From the villa it will take you just 10 minutes to reach the town center, the Spiaggia Grande beach and the pretty boutique-lined lanes of Positano.